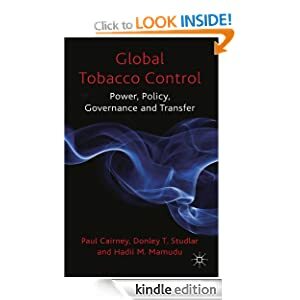 ← Why do people seem so down on e-cigs? This is one of two posts on the use of scientific evidence in environmental policy (a broad term which can include climate change, food, land management, and energy policy). In this one I insult some of the people reacting to the Scottish Government’s decision on GM. In the next one, I present preliminary evidence on a systematic review of the use of evidence in environmental policy. The Scottish Government recently decided to reinforce a moratorium on the use of GM crops in Scotland. It produced a strong response from many individual scientists, and groups representing scientists, which seems predictable enough. That’s what you would expect some scientists to do if you don’t act solely on their advice. What I didn’t quite expect was a more general, and often hyperbolic, criticism by non-scientist commentators about the failings of policymakers to listen to scientists. The general problem for non-scientist commentators is that they don’t really know what ‘the evidence’ is. It’s no great insult to predict that most commentators decrying a lack of reliance on ‘the evidence’ have never read any relevant scientific journal article, systematic review, or peer reviewed report on the science in question. In fact, that’s fine – you probably need some training to understand the technical aspects, particularly on method. What is not fine is a tendency to accept the word of scientists when they tell you that they know the evidence. In general, they don’t. ‘The evidence’ is often remarkably patchy (a point I’ll reinforce in the next post) and highly-disputed within professions, and canny scientific groups or individuals fill those gaps with an appeal to expert-based authority. This practice should be subject to as much critical analysis and scepticism that we afford to politicians. In fact, if you are a good scientist, you welcome the challenge and the debate (with the exception of cases, such as climate change, in which debate may undermine an urgent need to act). The general problem for the more naïve scientist commentators is that they often read the scientific reports, take a view on what they mean and what should be done, and simply expect policymakers to do the same. They fail to appreciate how scientific evidence fits into the broader picture of politics and policymaking. They fail to articulate what ‘evidence based policy making’ really means, or should mean in practice, when we have equally or more important ways to make decisions – such as representative government (we elect people to state their beliefs and make decisions on our behalf) and participatory/ deliberative democracy (we seek ways to generate a range of perspectives on a policy problem). In effect, they make an appeal to a process in which scientific knowledge or expert beliefs should be privileged above the beliefs of other people (in this case, it is accompanied by a pretentious reference to the Scottish Enlightenment). In my view*, both of these approaches are counterproductive. The hyperbolic non-scientist criticisms are too easy to dismiss. As soon as you start equating policy decisions with, for example, witch trials (OK – I’ve only seen two people do it), you can be safely ignored as someone with an axe to grind. The narrow scientist criticisms are just as badly off. As soon as you appeal to ‘the evidence’ without showing any appreciation of the policy process or a wider appreciation of policy decisions, you can be safely dismissed as naïve or self-interested. 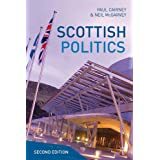 *These views are my own, they are stated a bit strongly, apologies to Duncan and Euan, etc. 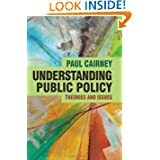 More from political scientist Paul Cairney, this time on evidence based-policy & its disconnects.